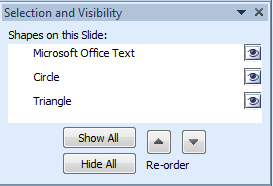 Having trouble with your presentations with lots of objects to your slide? 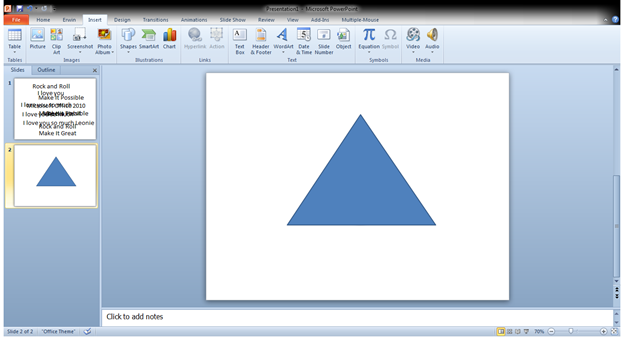 I have an example here (below), Notice the Triangle Object in my Slide? Yes you can see it clearly, so how about the Circle? Nope? it’s at the back of the triangle. So how are you suppose to select the Circle at the back without moving the triangle? 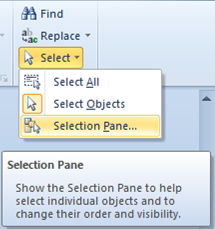 The answer is in the Selection Pane! and the Selection pane will appear to your right (You can also Drag this to the left side) Notice also there’s also a Textbox 5 in the Selection Pane? The Eye Symbol represents whether you want the object to appear or not. 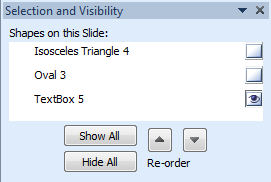 You can even Rename the object to have a meaningful representation just by Double Clicking. And of course, arrange them according to what you need. 3. 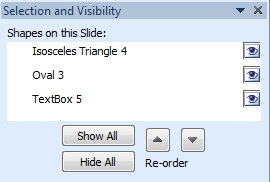 So lets see what TextBox 5 is, Select Hide all –> Then Click the Box on the right as shown in the figure below. 4. Rename the image and arrange them by clicking the up and down button. 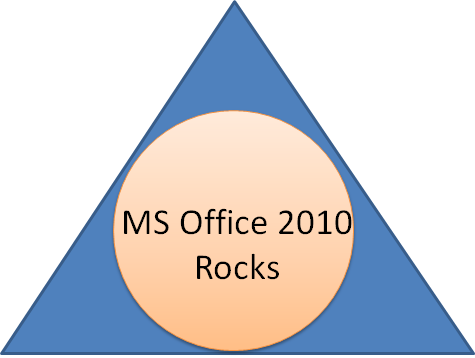 This entry was posted on Tuesday, July 13th, 2010 at 7:32 pm	and posted in PowerPoint. You can follow any responses to this entry through the RSS 2.0 feed.